AltSchool students choose what they want to do before the day officially starts. AltSchool encourages students to pursue their interests through group and individual work. 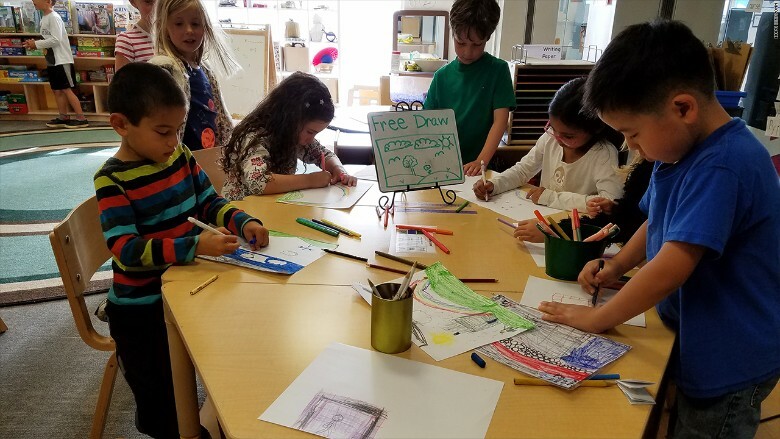 The AltSchool, a system of "micro schools" and an educational software company, has captured significant attention for its philosophy of personalized learning. For the K-1 class, kids can choose to work on their own projects, read or take a "co-curricular" class such as yoga or a foreign language. Co-curricular classes involve students from all grades and age levels and are formed based on students' interests.